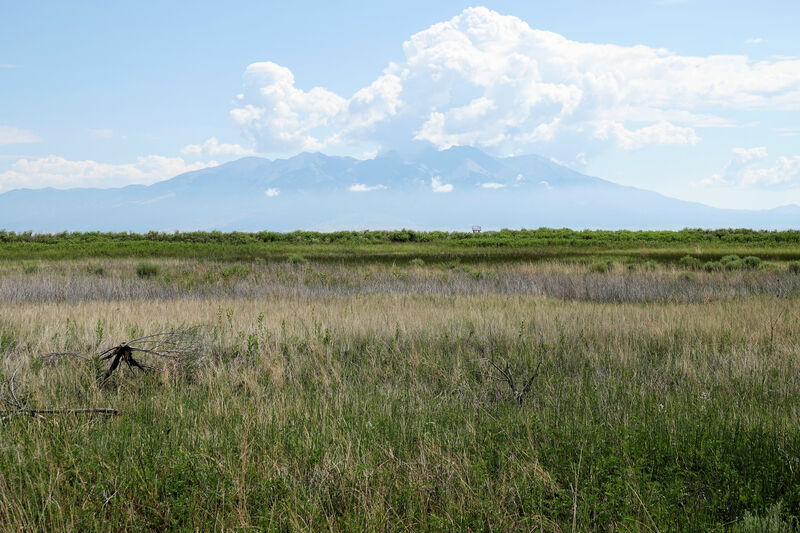 Location: Alamosa National Wildlife Refuge, off Interstate 160 6 miles east of Alamosa. The Rio Grande Nature Trail is located approximately 6 miles from Alamosa on the Alamosa National Wildlife Refuge. The trail follows the scenic views along the Rio Grande. The trail is 1.8 miles of compacted soils and grasses that leads you through a small riparian area. 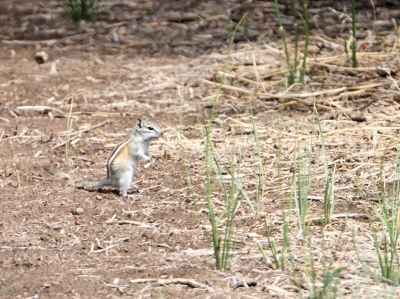 It is a nice peaceful walk for enjoying a variety of wildlife. 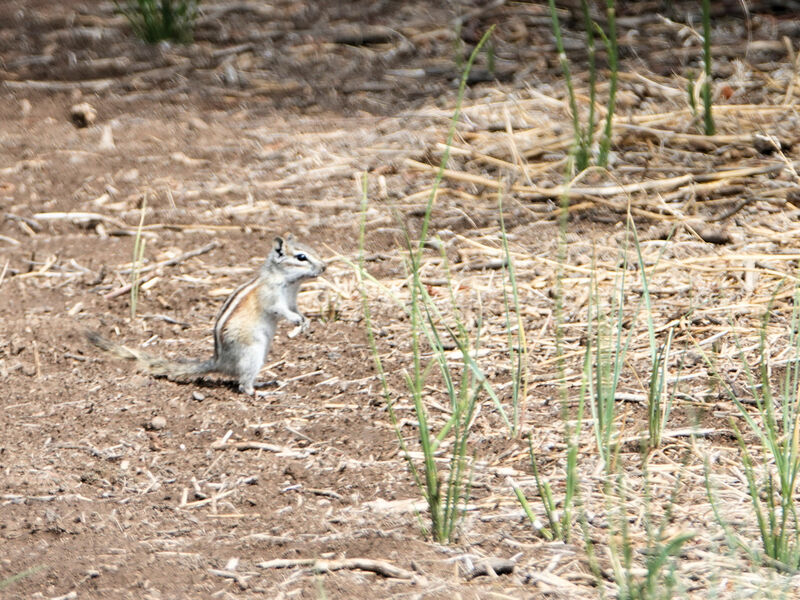 Visitors may see songbirds, raptors, waterfowl, porcupines, coyotes, mule deer, and elk, just to name a few species. One of the spectacular views one will see along the trail is Mt. Blanca. Mt. 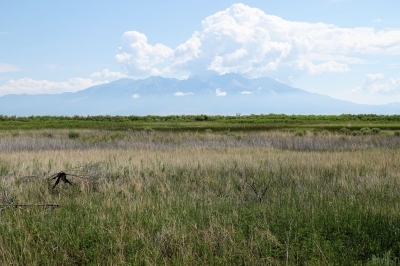 Blanca is one of Colorado's Fourteeners and is located in the Sangre de Cristo Mountains. The trail is maintained by the Refuge staff and is used by a variety of visitors, from school children on field trips to adventurous people enjoying what nature has to offer them. River Oxbow along the Rio Grande Nature Trail. Photo by Brian DeVries. Rio Grande Nature Trail - 7-14-18. Photo by Jim Walla. 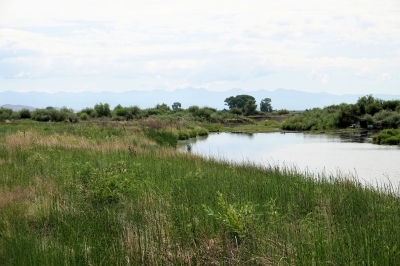 This trail runs along the Rio Grande in Alamosa National Wildlife Refuge. I would imagine the trail is most popular for people looking for birds and other wildlife. However, there are some nice views of mountains in the distance. I was there early afternoon, so there was not too much wildlife to be seen. However, it was still a nice walk.